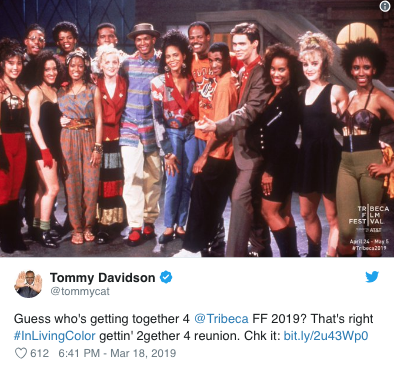 A pilot episode of "In Living Color" will be screened at this year's Tribeca Film Festival. The show is set to screen in a theater on April 27 followed by a conversation with Keenen Ivory Wayans, Shawn Wayans, Kim Wayans, Tommy Davidson, David Alan Grier and Rosie Perez. Would you watch a new series of "In Living Color" if the show was rebooted?